Other than leaving it in its pristine, raw state, there is nothing easier to do to a vegetable than roast it. This may account for the general surge in popularity of the technique. Also, it is healthy–and the result is usually tasty. But some plants are subjected to roasting in a cavalier spirit of, “It’s a vegetable? Let’s roast it!” and they taste that way. Broccoli, however, even when put in the oven for the sake of bored convenience, really lends itself to being roasted. It only takes a little olive oil, a grind of salt, some garlic, and maybe a little crushed dried chile–and in a few minutes, what you get is a blend of opposities: brown and crispy, green and crunchy. 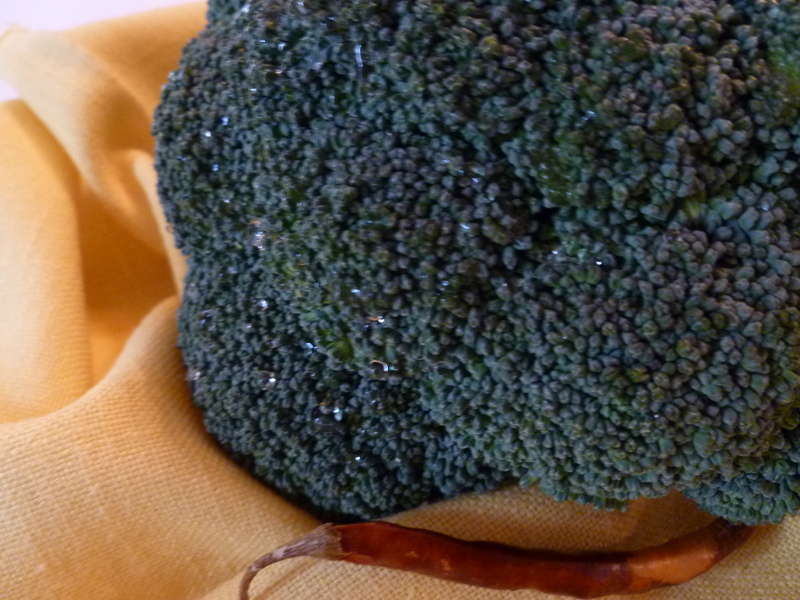 Put the broccoli in a large bowl and add a slosh of olive oil, the garlic, a sprinkle of dried chile or pepper flakes and a few grinds of salt and black pepper. Mix it all together well and spread on a baking pan. Roast the broccoli for about 10 minutes. It will still be bright green but the flowers will be starting to crisp and brown. If you are serving it right away, add another 5 minutes to the roasting time. 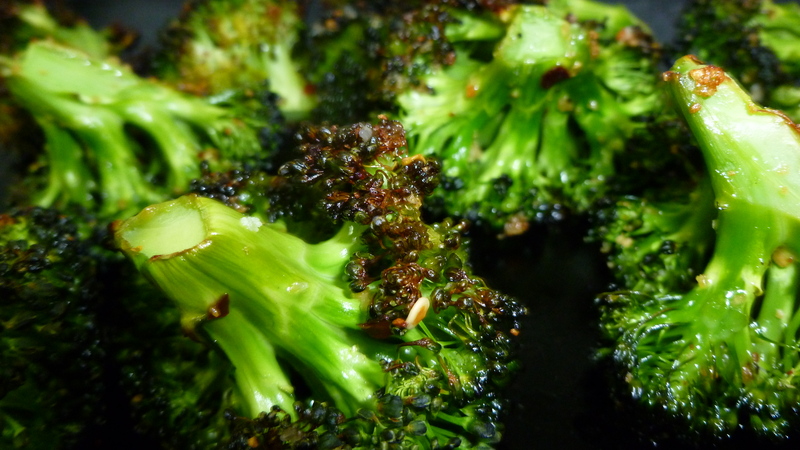 If not…set it aside and roast the broccoli an additional 5 minutes at 425 F right before serving. An aside: Roasted Broccoli and White Clam Sauce with Spaghetti are fine companions. They are both part of the Lunch Menu: A Little Italian Lunch.